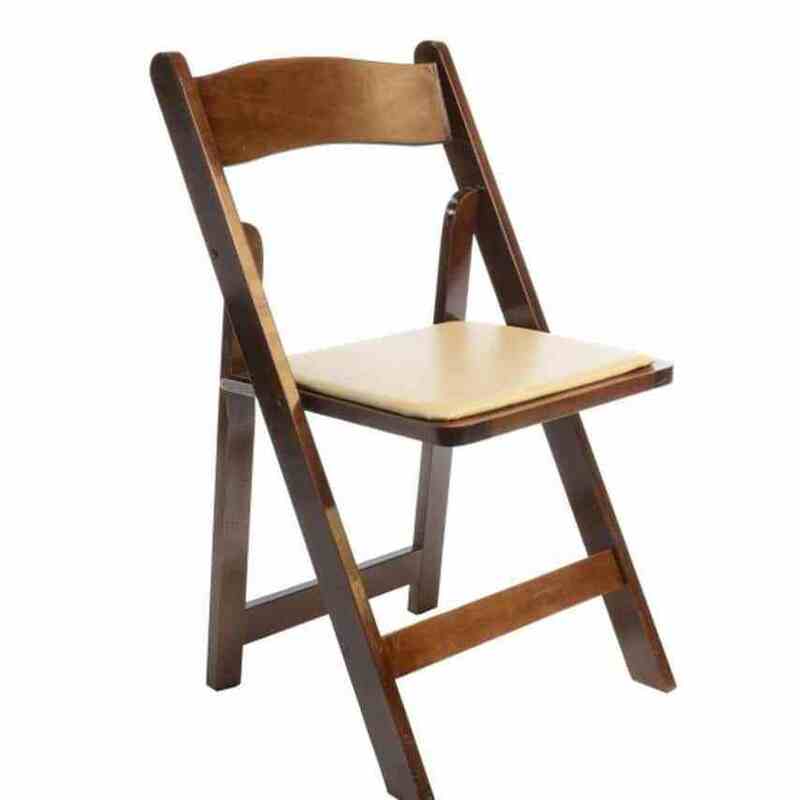 Fruitwood folding chairs are beautiful wooden chairs with a tan padded seat. 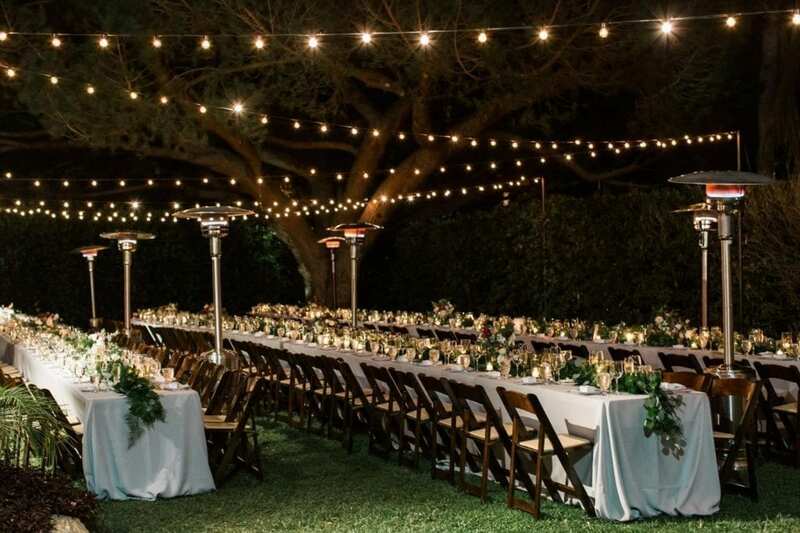 These chairs are an upgrade to the white wedding chair that adds warmth and charm to any event. The fruitwood chair requires special care for delivery to keep them looking great. 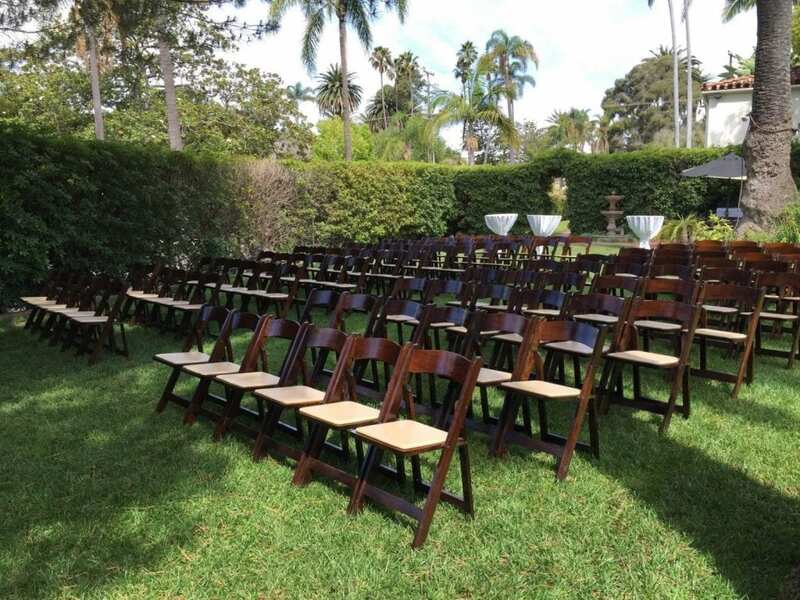 As a ceremony chair they are comfortable and durable, and make great holders for small aisle ornaments. For a rustic or natural touch to any event, add a burlap bow with your favorite flowers to the side rail or back of the chair. 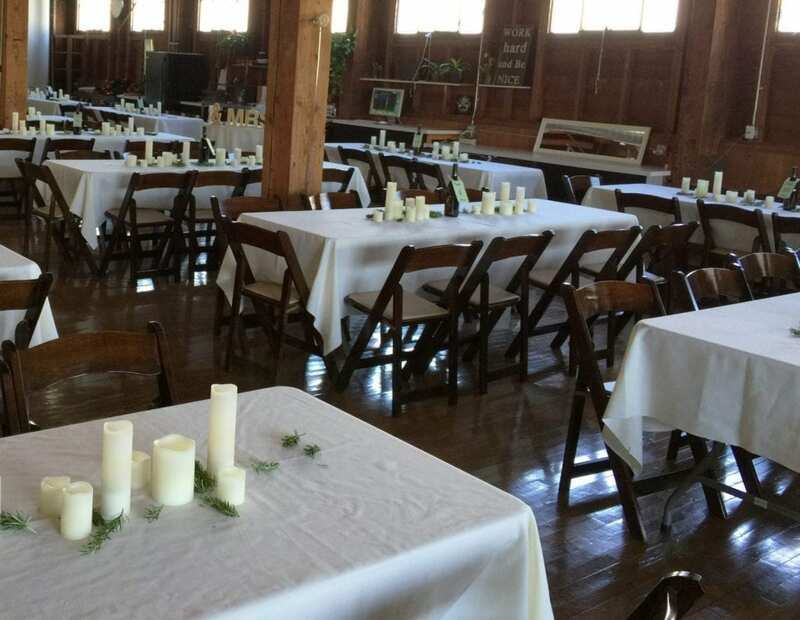 You can also hang small glass mason jars as an aisle decoration.